Acrylic on Watercolor Board - 28" x 18"
What makes someone human? Can a robot be murdered? What is the future of human relationships and what is the ultimate destiny for the human race? 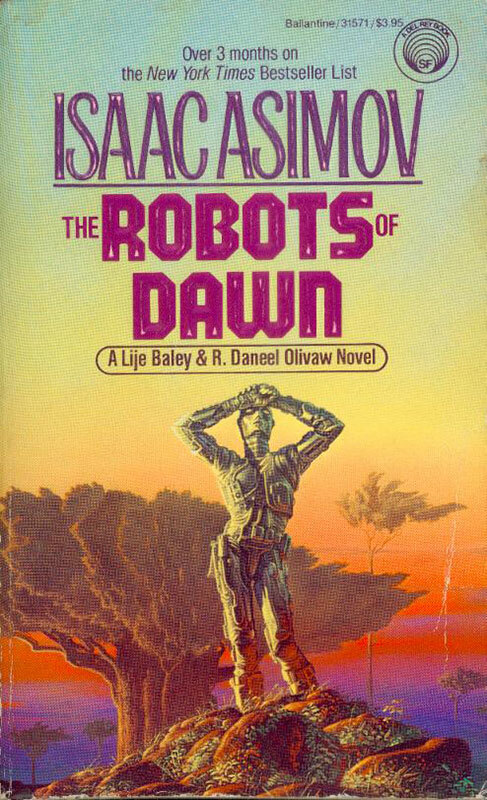 These are huge issues that Isaac Asimov deals with in his novel ROBOTS OF DAWN, but of course the extraordinary author also tells a great story! 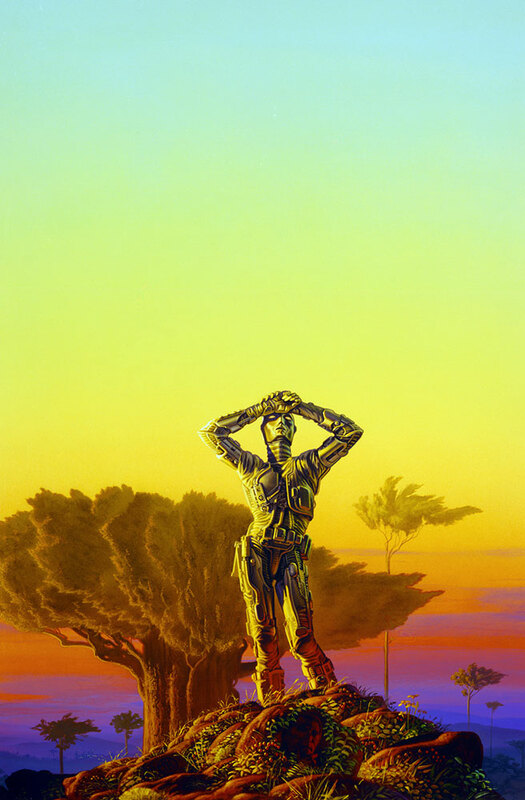 The pivotal plot element is the robot Giskard and Michael hints at the major themes by posing him in a human-like stance as he gazes skyward to the stars where the destiny of man-and robot-ultimately awaits. Note the face of the Terran police detective Elijah Bailey in the rocks. A puzzling case of roboticide takes New York Detective Elijah Baley from Earth to the planet Aurora, where humans and robots have, till now, always coexisted in perfect harmony. Only the gifted roboticist Hans Fastolfe had the means, the motive, and the opportunity to commit the crime—but Baley must prove the man innocent. For the murder of Jander Panrell is closely tied to a power struggle that will decide who will be the next interstellar pioneers in the universe. 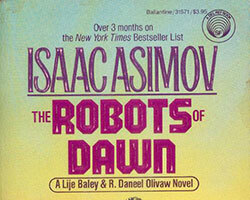 Armed only with his own instincts, his sometimes quirky logic, and the immutable Three Laws of Robotics, Baley sets out to solve the case. But can anything prepare a simple Earthman for the psychological complexities of a world where a beautiful woman can easily have fallen in love with an all-too human robot?